You don't have to go far to enjoy great wine; just step out your door and walk to our on-site wine bar. D'vine Wine Gallery offers a variety of amazing wines for you to sample during your stay, as well as live music throughout the week. Whether you are trying to unwind after a day of exploring Key West or prepping for a night out on nearby Duval Street, D'vine Wine Gallery is the perfect place to enjoy a glass of wine while listening to some great live music. The Gallery hosts live piano performances Wednesday through Saturday evenings, 5-7, and live jazz on Sundays 5-8 pm (seasonal adjustment of 30 minutes. Jazz is dark July - September). One of the unique things about our Key West wine bar is that it is self-serve and open 8 am - 9:30 pm. 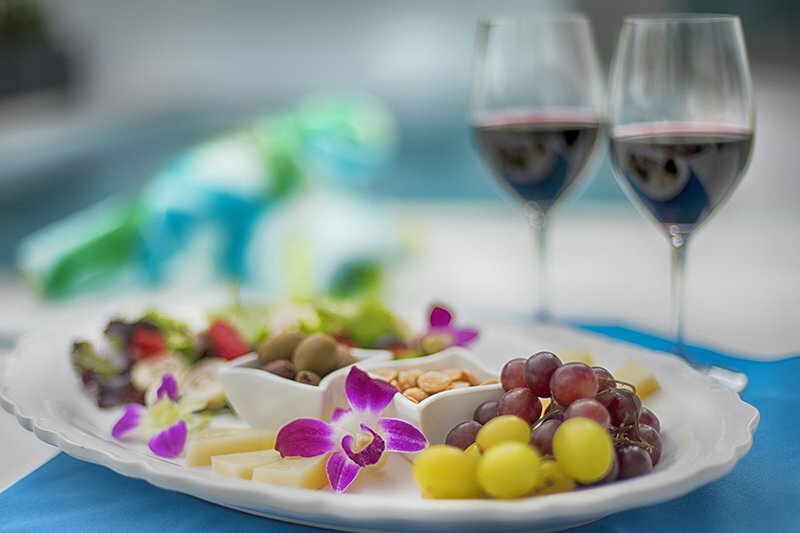 As a guest, you will receive a D'vine card to choose your wine portion—1, 3 or 6 ounces—so you can have a taste of all the wines or a whole glass of your favorite. There are plenty of wine varietals to choose from, and the system is automated so you can pour a new glass at your leisure. The D'vine Wine Gallery at Gardens Hotel Key West is proud to be a recipient of the Key West Chamber of Commerce's Venture Award. This achievement is awarded for "bold investment in a new business and enterprise that exemplifies the entrepreneurial spirit and adds to the Key West atmosphere."